America in the year 2012 resembles the America of the 1920's more than we realize or should accept. The revisionists have yet to take their first awkward steps on the slippery terrain of reexamining the historical paradigms. Today's political pundits and social trend watchers are recording their versions of eyewitness accounts as history unfolds. Logically they are not graced with the ability to reflect objectively on the aggregate of the events but they should delve into history for less prosaic insights than they are offering us now. Until an introspective glance into the past America will continue to be tethered to collective historical amnesia. The enigmatic quote from the Spanish born and American educated philosopher George Santayana sums it up best; “Those who cannot remember the past are condemned to repeat it”. America during the antebellum of the 20th century is referred to as The Roaring 20's. It is often seen as a boon period in modern US history. This era in America history was characterized by tremendous economic affluence and the burgeoning of a cultural transformation. Wall Street was alit with trading; jazz music had become a distinct American innovation; some of American's greatest literary figures were honing their craft; the Harlem Renaissance was hitting a critical mass; women were now a viable political force; yet there were discernible cracks in the foundation. 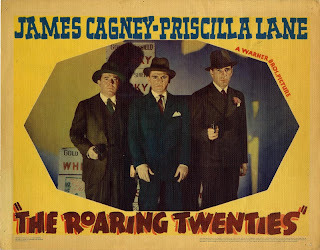 To paint the Roaring 20's as a pax americana would be to fall prey to a rhetorically feeble semantics game. History is a classic exercise in cause and effect. The act of writing a history is contingent on realizing that events don't mysteriously appear in a vacuum. Despite the demagogic rhetoric tossed back and forth between Republicans and Democrats as they play ideology “keep away” from other political third parties, the US of 2012 is still a world leader in key areas. The digital and nanotechnology industries in places like Silicon Valley almost singlehandedly dictate trends and innovation over the entire world. The film industry has been injected with new vigor from independent film makers. Coupled with that there is a resurgence of documentary films which are both culturally and economically relevant. Scientific and academic enterprise continue to be hallmarks of an elite educational system. However, we are all bitterly aware that the fabric of American society is becoming threadbare. Now that the combat portion of the war in Iraq has been quelled and America enters into a phase of introspection the cracks in foundation of modern America are more evident. Here follows a short list of parallels between America of the Roaring 20's and America of 2012. The list is not meant to be exhaustive. Rather it's purpose lies more with culling examples from the past. Reflecting on and discussing those lessons from the past will ensure that we aren't repeating the same mistakes over and over and over again.